Adjoining wooded slopes and streams that flow into Ladonas river, our land remains unseen in the verdant highlands and green plateaus. At an altitude of 400 m. the climate may be mild, but conditions can often be harsh and challenging. 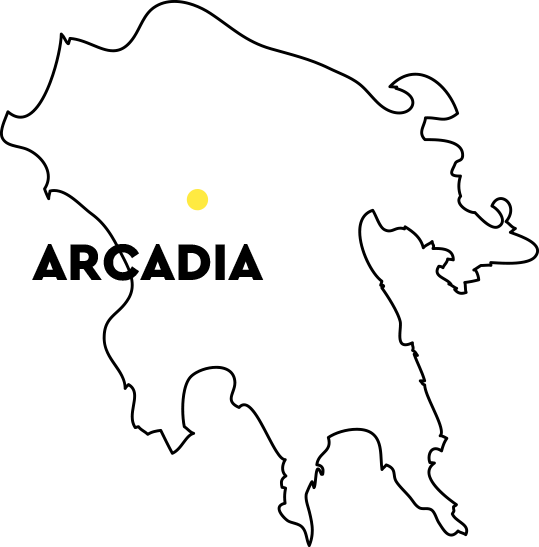 Ogion was a small city still inhabited when Pausanias, the Greek geographer of the 2nd C.E., visited Arcadia. The myth says that its name came from Ogios, its first king and also the son of god Apollo. Our estate is in the area where this city is believed to have existed. In the Renaissance Arcadia was idealized because of its mountainous topography and untouched wilderness. Today, the wild and the tame are combined, shaping our definition of ‘utopia’ since 2000. 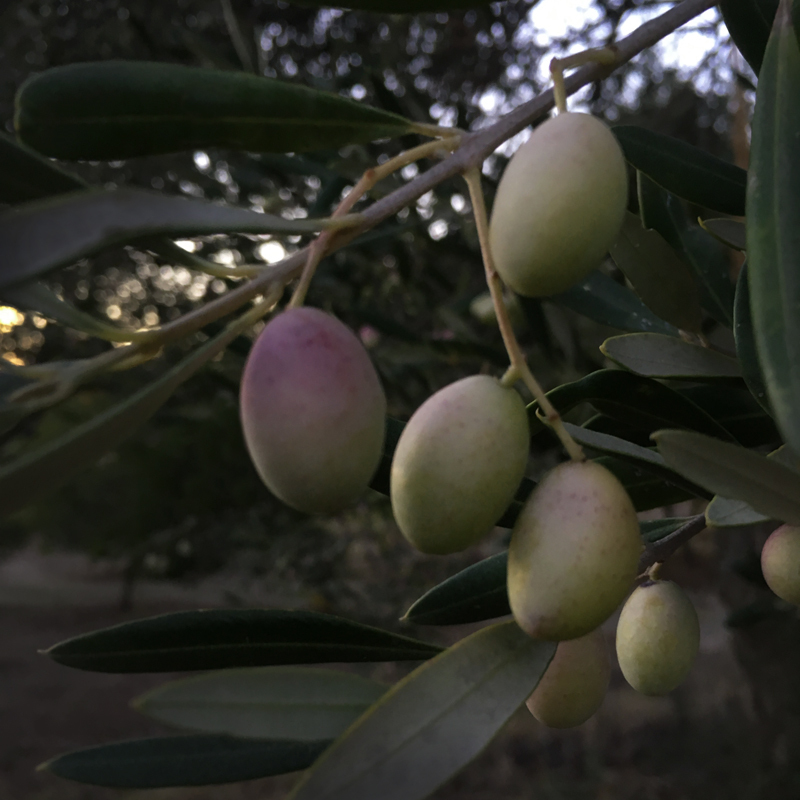 Why is our olive grove so unique? The Ogion estate has almost 600 productive rain-fed olive trees, native to the land, and some 350 hundred young and baby-ones. Wild boars in search of mushrooms and bulbs pay regular visits to our estate. Sometimes small herds are seen running towards its forested areas. The tiny-mighty edible dormouse, a protected species, is found moving around at nights during the summertime. It may be hard to tell the difference between thyme and oregano, but the bounty of St John’s wort will certainly get your attention. Wild asparagus is hidden in the vegetation, but figs, apples, and pears are within your hand’s reach. 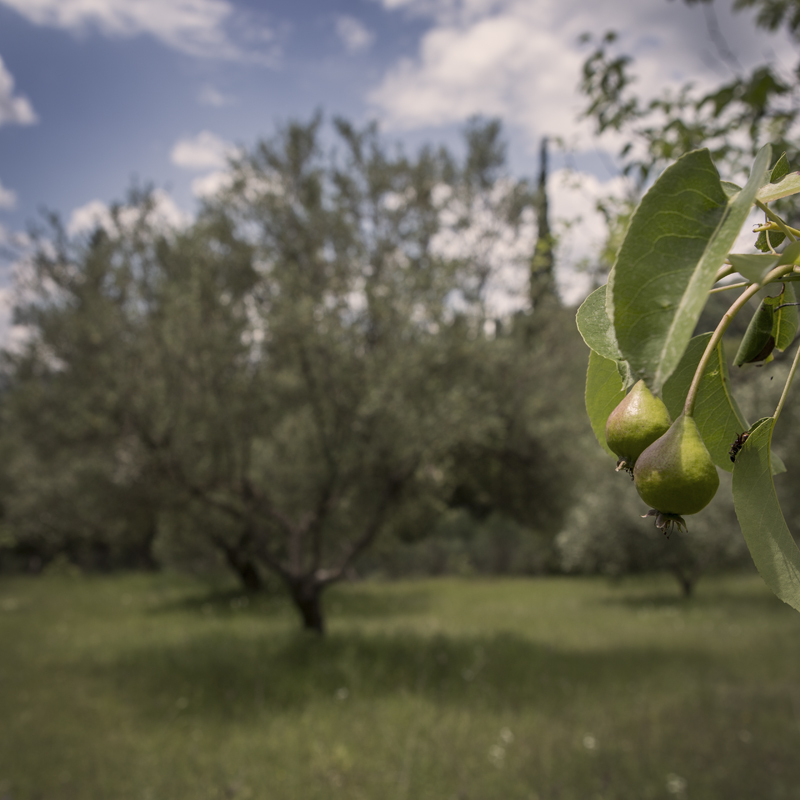 The wild pear, also known as almond-leaf pear, and the quince have a distinct taste and aroma. They find the ground of our estate ideal for their growth as wild olive trees do as well. The olive trees the previous generations used to cultivate are now under our auspices and the new ones which naturally grow in our land are also welcome. Birds nest in pine trees, cypresses, and oak trees, while the plane trees offer their shade to them lavishly. 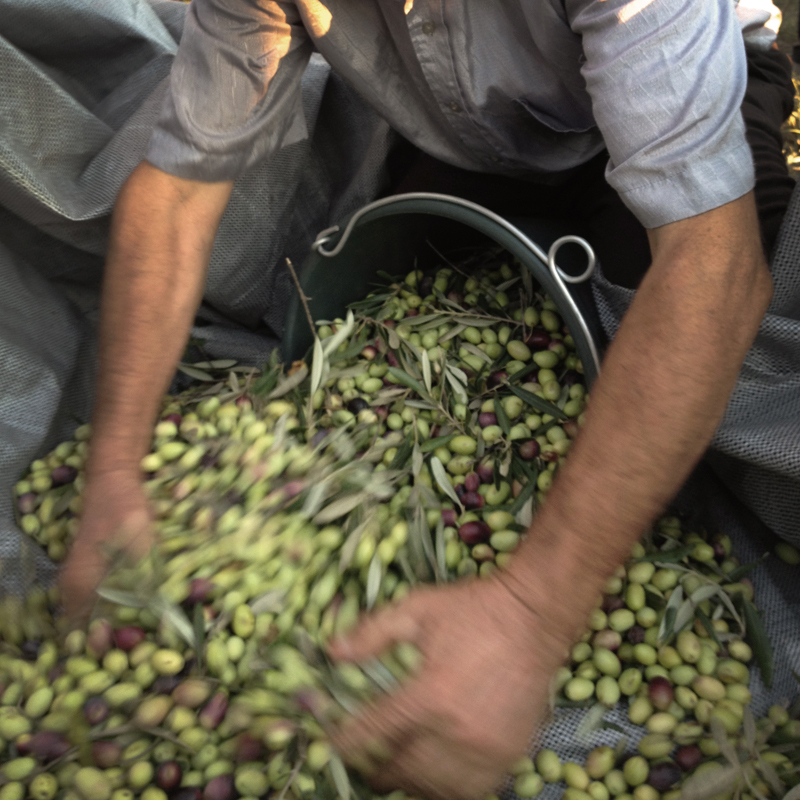 Sustaining biodiversity while producing olive oil is a hard work, but it seems we’ve managed to strike a balance. Enjoy the fruits of our labour!